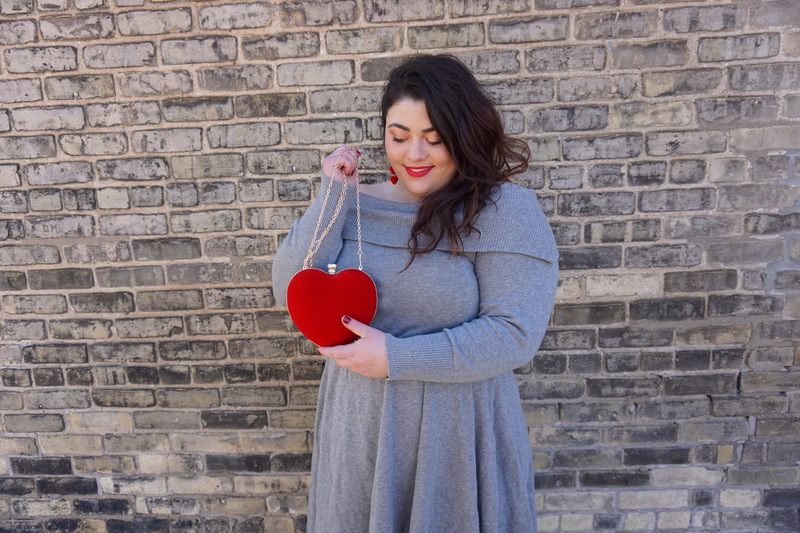 Plus Size Style - Valentine's Date Night in Torrid - inspo + co.
Can you say date night?! 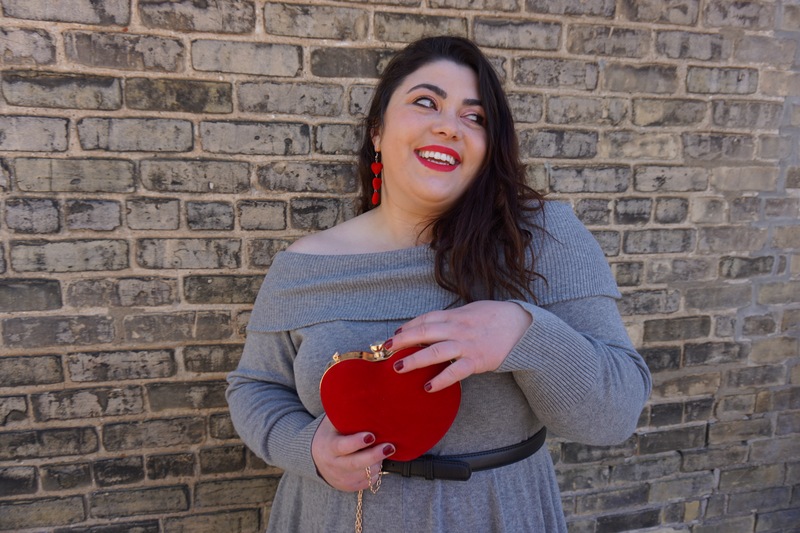 Fit and flare is my favourite cut and so it made perfect sense to bust it out for this outfit styled for a Valentine’s date with that special someone. The dress is from Torrid, is so versatile and fits beautifully! I paired it with some basic black Shoe Carnaval heels and then decided to give Amazon Fashion a try to complete the look. The heart-shaped purse, earrings and black belt are all from Amazon! Can you believe it? I LOVE the earrings. They are slightly fuzzy, hang at a great length and are only 10 DOLLARS. I’m so glad I gave them a try. I got some lovely flowers from my partner and have plans to spend Valentine’s day with some of my best ladies and then end the night on a double date! I hope your v-day is also full of love – for yourself and your nearest and dearest!